Join us on a trip down memory lane, as Fred shares his wacky and perilous journey behind the Iron Curtain. Obsessed by the glass of Lauscha (East Germany), no regime could keep this passionate artist away. 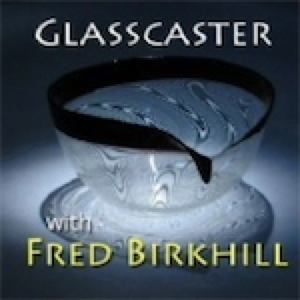 Home to some of the most complex flameworked glass in the world, Fred risked life and limb to discover their secrets and techniques. Follow Fred's adventures as he explores the precise nature of making montage vessels, and befriends the masters who create them. His time with Kurt Wallstab and Albrecht Greiner-Mai changed his life. Perhaps it will change yours! Fred sheds light on how communism influenced the lives of the artists of Lauscha, and how a booming black market existed within this repressive regime. It's a fascinating journey! Come join us!